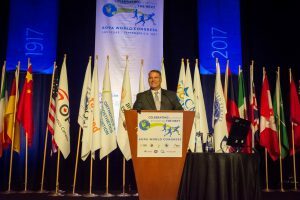 AOPA’s Centennial Celebration and World Congress in Las Vegas set a new record with over 2,500 attendees! 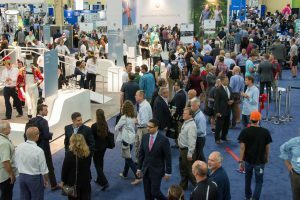 Exhibitors and attendees came from 41 countries, making it a truly global event. AOPA is donating $5 of each registration to Hurricane Harvey relief, and is still accepting donations. Checks can be mailed to AOPA, 330 John Carlyle St, Ste 200, Alexandria, VA 22314. The exhibit hall opened with a performance from the Las Vegas production La Reve- the Dream, with an impressive dancer doing backflips on a prosthetic leg. The morning opening session presented Saeed Zahedi, PhD with the Lifetime Achievement awards and 4 notable inventors were honored for their contribution to O&P: Van Phillips (Flex-Foot); Marty Carlson, CPO(E), FAAOP (Tamarack Flexure Joint); M.E. “Bill” Miller, CO, (The Boston Brace System); and Kelly James, (C-Leg). The educational line-up was described as our “best ever”, with presentations on Exosekeletons, Osseointegration, Gait Salvage, CMT, and all the latest clinical research. 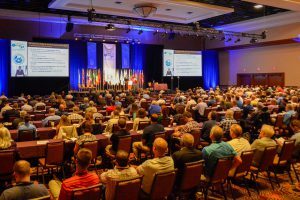 Business managers learned all about documentation, heard from the DME MACs, watched demos of the AOPA Co-OP, and more, while pedorthic and technical education covered all the latest topics. 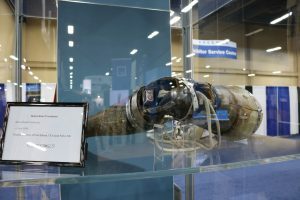 As part of the Prosthetics 2020 research initiative, findings from the RAND Study “Economic Value of Advanced Transfemoral Prosthetics” were presented – that microprocessor knees (MPKs) provided economic benefits and quality of life improvement over non-MPKs. The study is now available on RAND’s website. Al Dobson, PhD presented the updated Dobson-DaVanzo cost-effectiveness study using the 2007-14 Medicare data, that found that O&P care is still cost-effective, similar to the 2007-10 data. 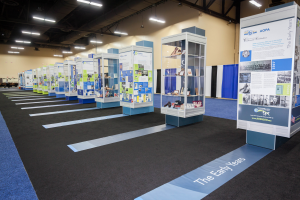 Attendees enjoyed the Walk through Time showcase in the Exhibit Hall, with artifacts and photos spanning O&P’s history. 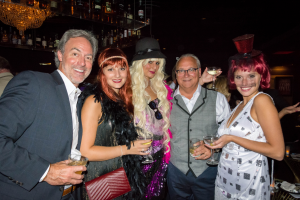 The Party with a Purpose fundraiser for AOPA’s government relations efforts brought in over $50,000, at an exclusive party at the 1923 Bourbon Bar Speakeasy. AOPA continued traditions of hosting a student Lunch and Learn, a Women in O&P gathering, and AOPA helped to facilitate Alumni meetups for 3 schools. See all the photos on Flickr and search #AOPA2017 on Twitter.